Clean your flask thoroughly between uses. Rinse the inside with clean, soapy water before filling the flask for the first time. Be sure to complete the rinse with hot, clean water, to remove any soap that would remain otherwise. Always empty the flask after use and rinse thoroughly before refilling. Do not keep alcohol in the flask longer thank a period of 3 days. 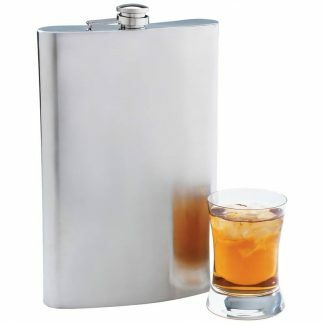 Refill only when you are about to use the flask, as it is not intended for long term storage of your alcoholic beverage. Fantastic challenges altogether, you just obtained any company logo completely new visitor. Precisely what would you advise in regards to your current distribute for you to designed at times before? Any beneficial? Basic gifts for men. This post is a savior. Thanks. i’ve been looking for this for several days. It helped me.